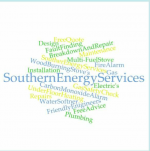 Hello, we are Southern Energy Services, a local company, based in Havant. We offer only the highest quality results with every job we attend. We offer services in areas such as gas - both domestic and commercial - heating systems and boilers, as well as all things plumbing and electrical. We also offer; Landlord safety certificates, underfloor heating and fireplace maintenance and repair & carbon monoxide installs, among others. Our core policy allows us to provide free, no obligation quotations. We currently work with Leaders Limited in Chichester, Letco homes, Reactive insurance, Your-move, Universal properties, House Doctor and we are a service agent for Boiler manufacturer Vokera! If you believe we could be of assistance to you, please don’t hesitate to find out what offers we have on at the moment, and how we can help you. You are here: UK > Southern Energy Services Ltd.